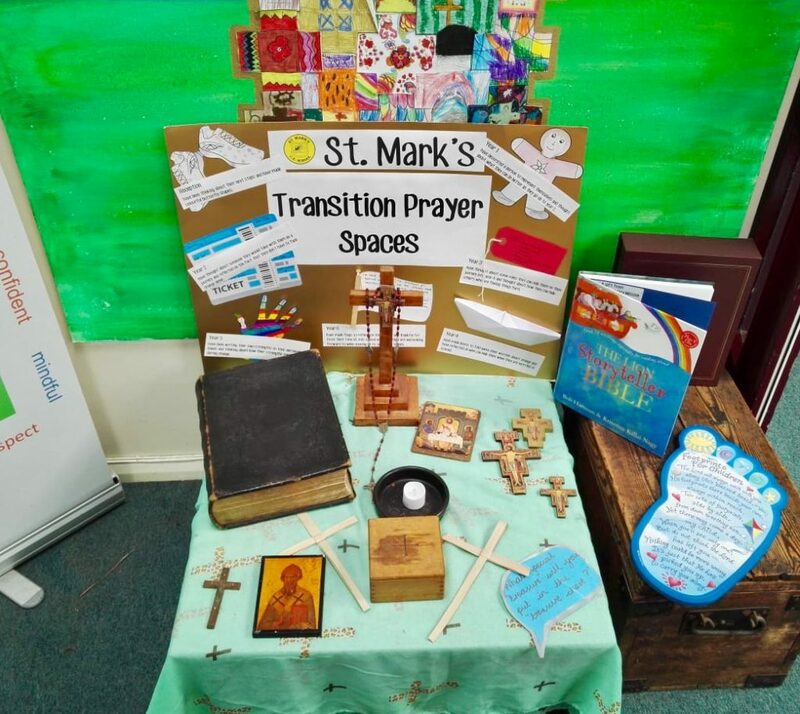 It was a pleasure to be invited to St Marks CE Primary School to refresh the reflection spaces in each class and enable the children to be part of them. We used the theme of transitioning as the children move into a new school year or onto Secondary school. After listening to the head teacher’s brief, we designed and created everything they needed and headed into school for a few days. The team had the opportunity to listen to the children as they created items to add to their own spaces, some were excited to be going up to another class and others expressed concerns about moving on to secondary. Nairne, the teams newest member, was able to experience teaching an activity to a larger class of thirty children for the first time and said: The dynamics are very different to when teaching a small group music’. The classes were given a children’s Bible to add to their space and the school have decided to add a piece of blue cloth to show all the displays throughout the school are linked to one another. A small display was created in the school hallway with small snippets of everything that the children had made. They also left a Lion Storyteller Bible for children to use, which was the version of the Bible used for the class stories. ← Everyone should be allowed to speak!